Do you also dare to wear pink in winter? It’s usually popular in spring and summer but why not wear it in winter too? It can be rather fun to wear lighter clothes, and especially pink, to brighten up a wardrobe full of neutral and dark colors. So why not bring some spring into the middle of this cold weather? This winter, don’t be shy and don’t (always) hide yourself in dark colors – throw in some pastels for a change! It will definitely lighten up your mood and, when it snows, you will be in tone with the snow. Perfect, right? 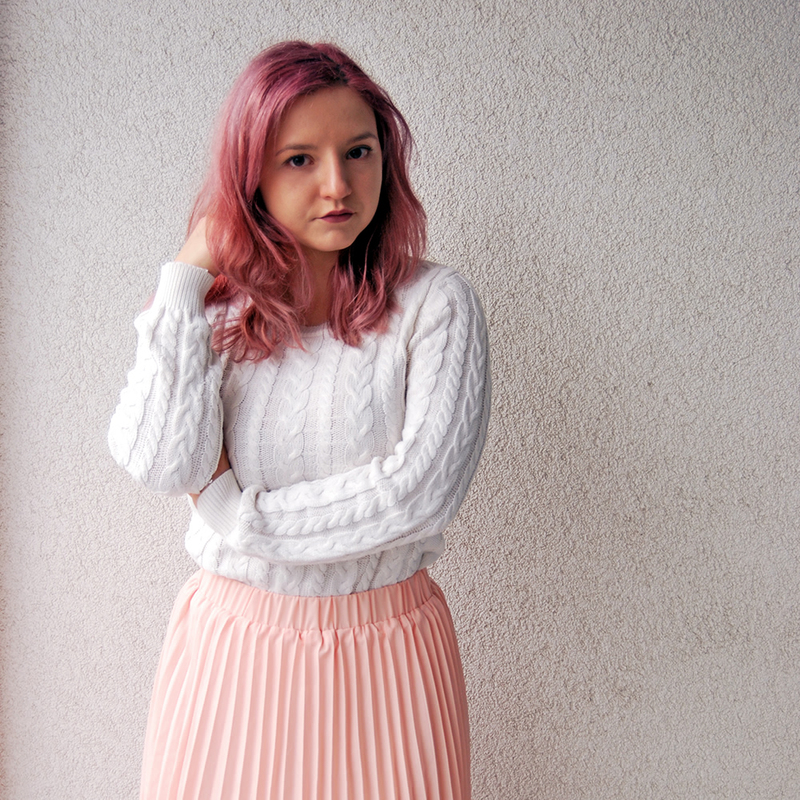 Are you a fan of wearing pink in winter? And are you as in love with clear heel boots? You look fab in this outfit! I have this gorgeous white Christmas jumper with a pink Minnie Mouse – I’d love to wear more pink year-round. I love everything about this outfit but especially the skirt! I hardly ever wear pink but now I really want to. You are really rocking this look – and those boots are so unique. The colours seem to really suit you too – you obviously know your stuff!